Love what you have found already. This sweet Fire King is a tough find. 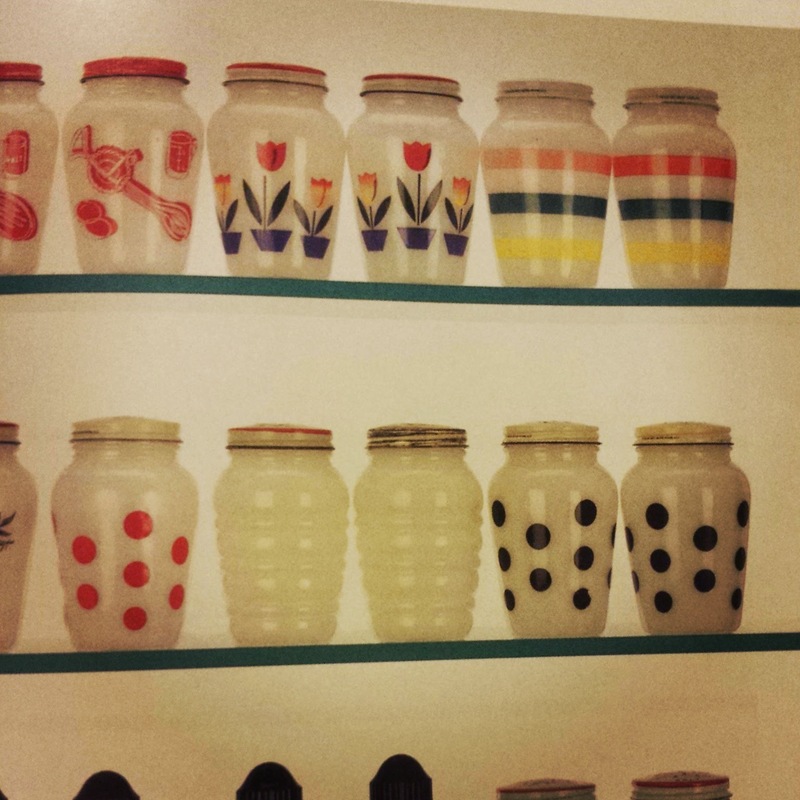 I would like any of those shakers. Love them. 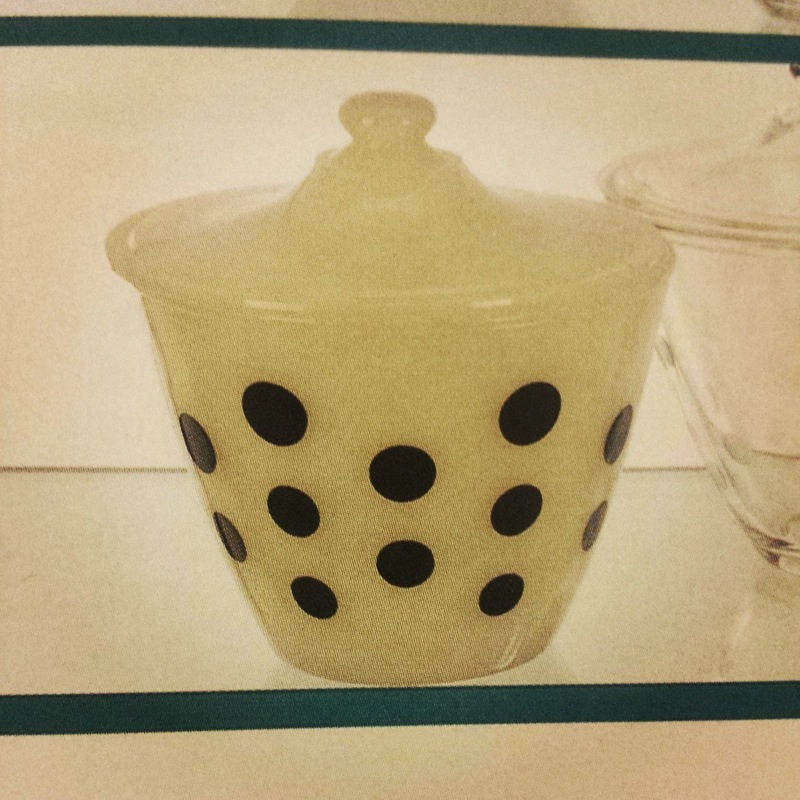 I would love one piece of awesome Fire King polka dot pattern...shaker would make me so happy!!! 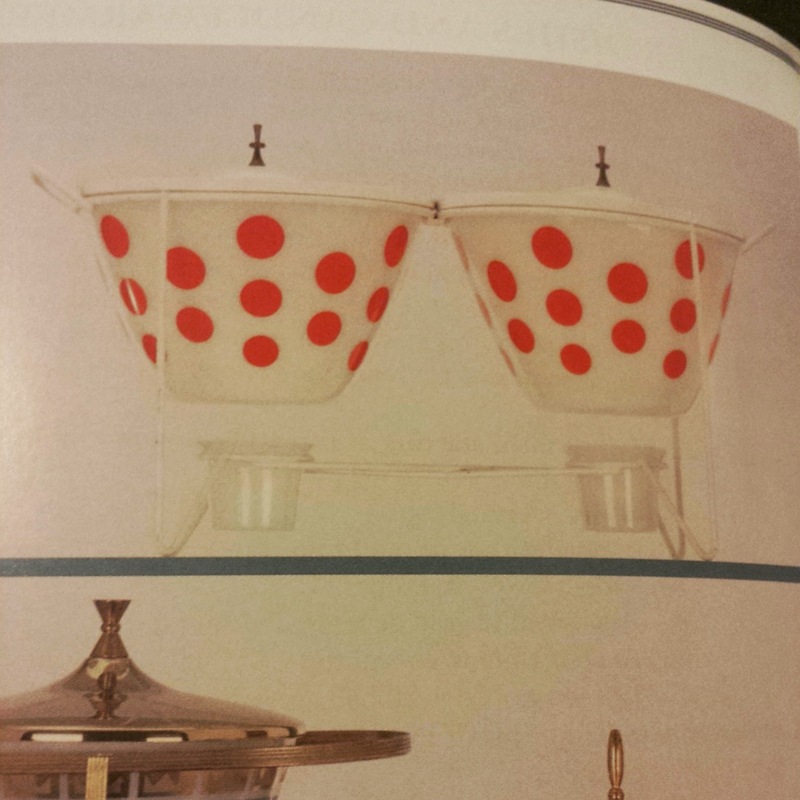 I would like any polka dot piece. 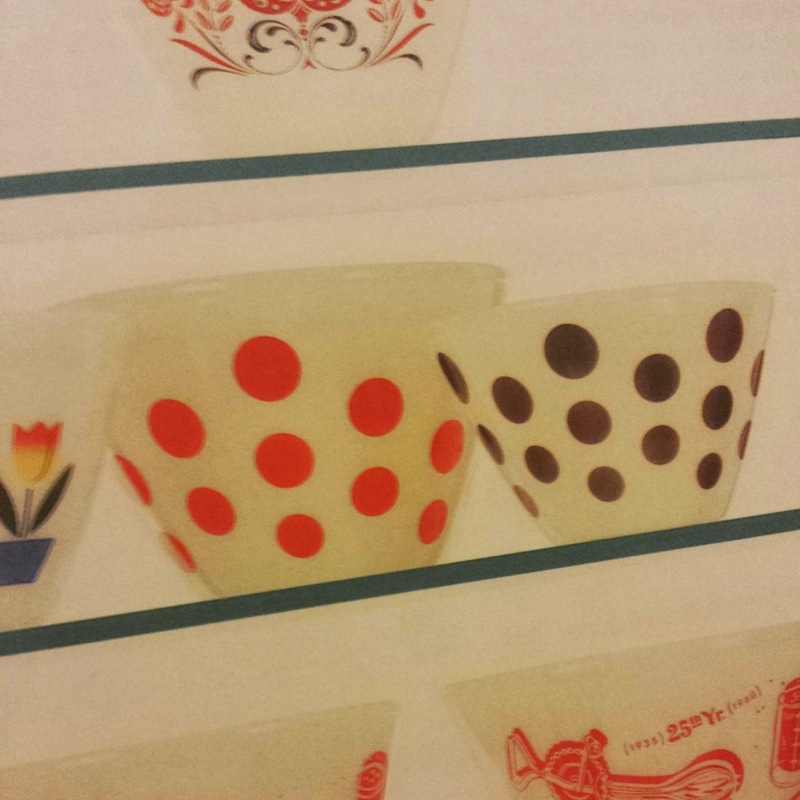 I have never thrifter one. i just really love the title of this post! 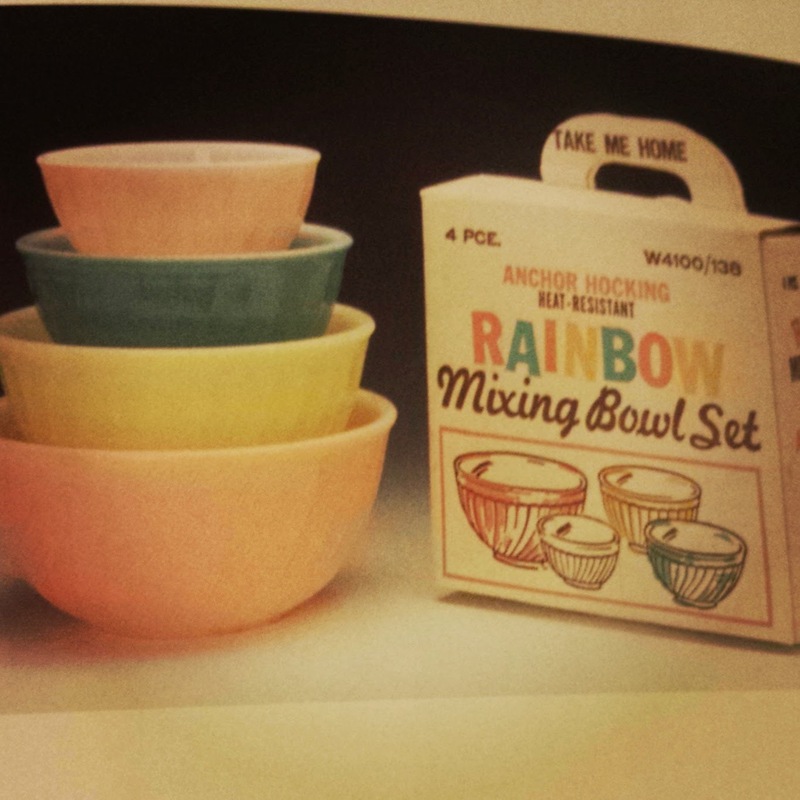 I love how you specify that you need the rainbow mixing bowl set "with the box." Aim high, my friend!